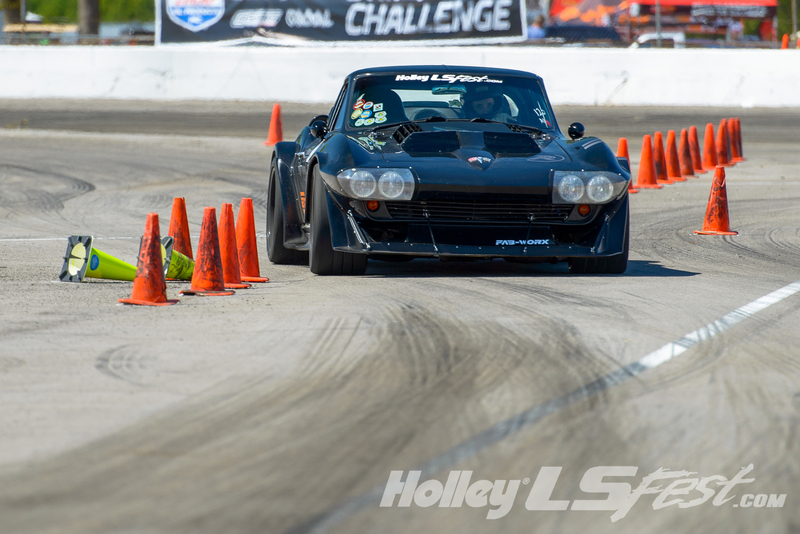 The 3S Challenge is a LS Fest fan favorite. “3S” stands for Speed, Stop, and Steering, and participants had better be proficient at all three if they hope to be competitive in this event segment. The format will be a side-by-side low speed down and back course layout that will feature a 180-degree turnaround, slalom, and a stop box. Course layout will be dependent on the available space. Each “run” will be a total of left side course time added to right side course time, plus any accumulated penalties. The winner is determined by the fastest combined left side and right side run. All runs must be clean – any contact with course markers, cones or stop box cones will result in a DNF. 1) The registered owner must drive the vehicle for all events. 2) All drivers will be required to sign a liability waiver. Passengers will not be allowed. 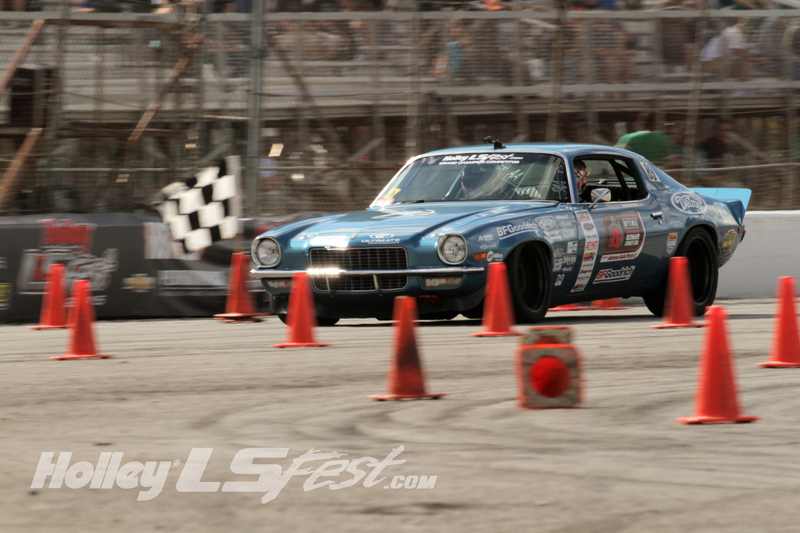 3) A mandatory drivers meeting will be held prior to the first competition. 4) All prize-eligible vehicles must represent a street capable vehicle with a strong resemblance to a current or former production model. 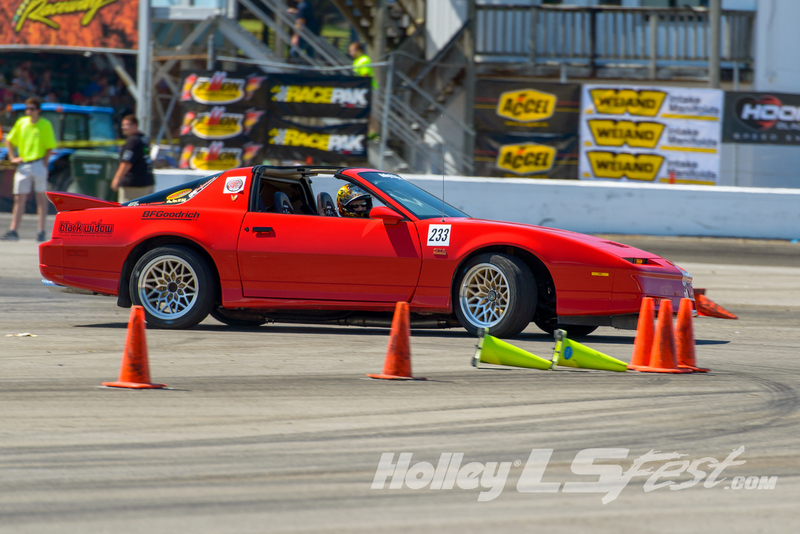 No purpose built race cars or kit cars will qualify for awards in the autocross or speed stop event. The only open-wheeled vehicles allowed are ’34-and-older domestic vehicles and replicas thereof. Other vehicles such as production “concept” cars may be allowed. 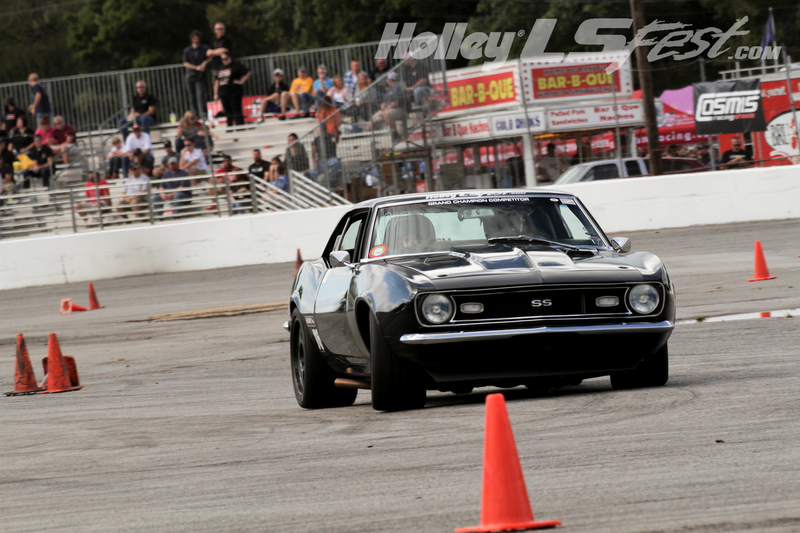 5) All competitors must have current registration, proof of insurance, and a current driver’s license. 6) Each entrant will be issued a number and class that must be clearly visible on the windshield, side windows or rear window. White shoe polish is acceptable. 7) Participants must use DOT approved tires. Tires will be required to pass a technical inspection at the track. Street tires are defined as any treaded, non-competition street tire with a 200 tread wear rating or higher. 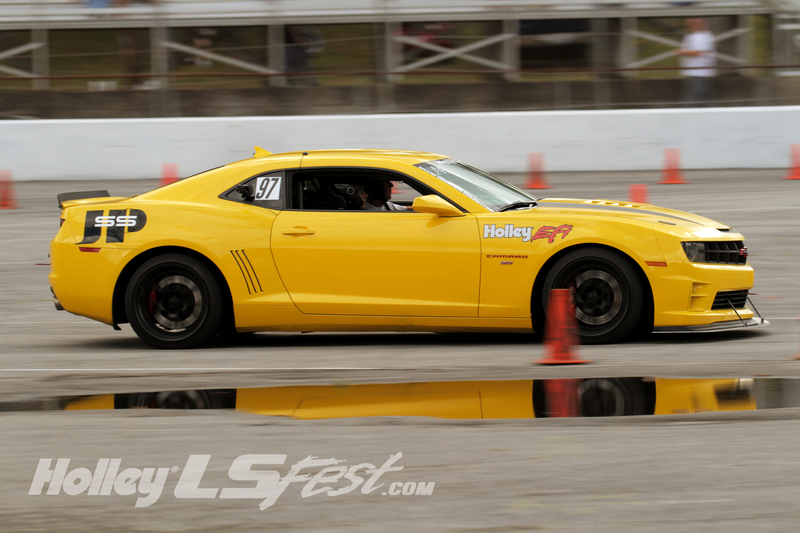 No slicks, modified or shaved tires will be allowed and street tires must have a minimum 5/32-tread depth. 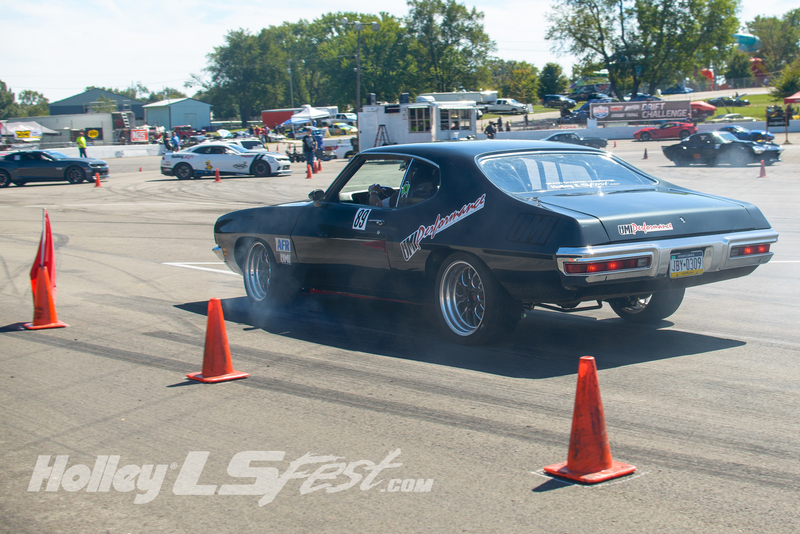 8) Competitors must use a single set of tires for the entire event, no tire changing between events will be allowed. Tires will be marked during tech. Tire changes will be allowed in the event of a catastrophic failure, but replacements must be of the same manufacturer and model as those approved during tech inspection. 9) Helmet use is required for all drivers, Snell 2010 or newer. Motorcycle helmets will not be allowed. b. Proper brake pedal pressure and travel. c. Sufficient throttle return spring and secured battery. d. All lug nuts in place and tight. e. Hubcaps/clip-on center caps are to be removed. f. All loose items must be removed from vehicle. 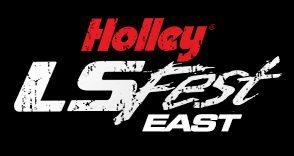 The 3S Challenge event will count toward the Holley LS Fest Grand Champion Award for competitors who compete in Drag Race, Autocross, 3S Challenge.